Are you apprehensive about living overseas? 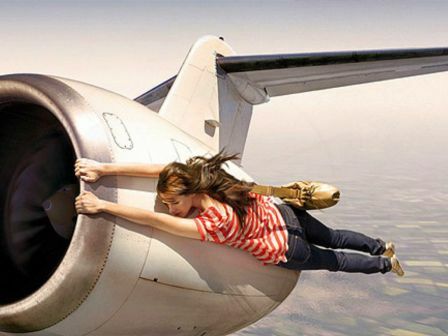 Does it make you want to sneak out of the plane before anyone notices and slowly float back down to the home you're leaving behind? It's natural for some to feel that way! My suggestion for those who are considering a move to Bolivia is to make a reconnaissance visit first, if it's financially possible for you. But, there are other factors that influence whether or not you and/or your family will adjust well to living overseas, and that's where reading about the experiences of others, learning how best to prepare in advance of such a move, and researching what you can do to make the most of your living abroad experience, can be a good first step to take. As a TCK (third culture kid), avid tourist, sometimes travel writer, and global nomad mom, I know that reading about a place isn't the best way to research a possible new home, but it is helpful to pick up pointers from others, or to realize that you're not the only one who's experienced some fear. So I've set aside this small corner of our website to list some of the pages on this site you may want to consider taking a look at as you prepare to work, retire, volunteer, or live in Bolivia.